This non-profit clinic is looking for a career-minded and passionate individual to join our team and help improve the quality of life of companion animals and to help reduce the homeless pet population through spay/neuter. The individual will be responsible providing quality patient care and support all surgical patients as well as assist with the maintenance of preventative health programs while adhering to all medical protocols. • Promote the humane care and treatment of animals at all times. 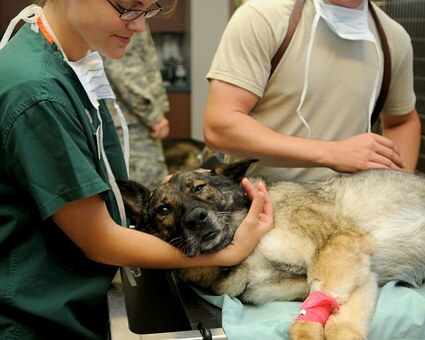 • Assist Veterinarian in the pre-op examination of patients. • Monitor patients post-op to ensure appropriate recovery and healing. • Ensure cleanliness of office for prevention of infectious/zoonotic disease. • Stay current and research trends pertaining to safe and efficacious medical protocols. • Actively promote spay and neuter, and educate clients on responsible pet ownership. • Provide high quality service to all clients, volunteers and staff. • Adhere to goals, objectives, methods and costs necessary to accomplish the mission of the organization. • Maintain an open door policy and provide direction and support to staff members. • Meet with Veterinarian monthly to establish and discuss scheduled goals and key objectives. • Ability to work four 10-hour days a week, including Saturday. • Proven problem solving skills and an ownership mentality. • Bilingual preferred, not required. Position is Hourly. Based on knowledge level in high volume field. Job Type: Full-time Four 10 hour days. Must be able to work Saturday. Required Education: High school or equivalent. CVT a plus.